Specialized courses for individuals in fields such as Mental Health, Marriage & Family, Social Work, Employee Assistance, Addiction, Behavioral Health, Nursing, US DOT Substance Abuse Professionals, & US NRC Substance Abuse Experts. 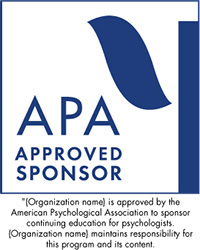 As of 4/15/19 we are no longer providing CE for psychologists. Florida License Renewal Continuing Education Requirements! Read below for ALL Florida mental health profession renewal requirements.